I think this has to be the nicest paint I've ever used. It covers great, it flows out like its got a tonne of conditioner in it and its scrubbable after a week! It's a good Matt too, less shine than Dulux Diamond Matt. The other interesting thing is that it goes on for miles too. My 5 litre tin felt like a good 7.5 litre. Had some kiddy prints to wash off the other day, used the usual wet cloth and it cleaned up fine however it did leave grease prints so we used hot water and off, ideal. It's nicer to use than the Aqua undercoat Fitzy! Nowts nicer than aqua undercoat! 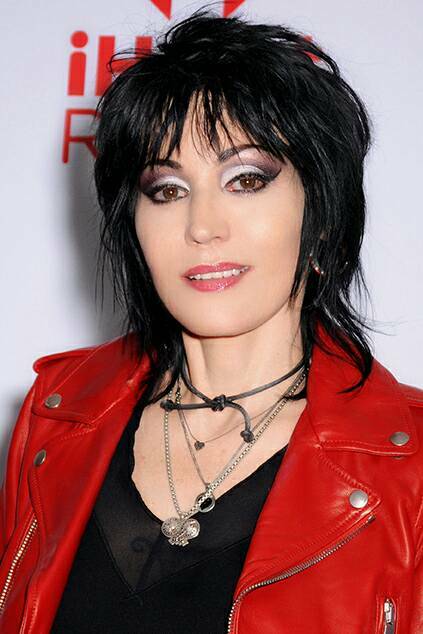 Joan Jett in leather trousers from the 80's is much nicer than aqua undercoat mate. Cleanable matt to Joan Jett in 3 posts. New record? Or will it be too large? Earlier and bigger hair, but very nice. Nice red for a garage door (ain't got one though, door or garage, I could buy some brushes to paint my front door red though). and i'll be honest and say I am always wary of new products, and the blurb that goes with them. I am old enough to remember the original water based trim products being given to me 20 odd years ago, that were worse than vinyl silk! This really does seem to go waaayyy further than any product I've used. My hall, stairs and landing usually takes a tad over 7.5 litres. I had 10 litres provided and it took less than 5! Strangely it had a granular feel under brush, but do not let that put you off as it has no detrimental effect on the finish. The opacity is fantastic too. Felt great under the brush and agree with all you say.